Dedicated to issues of public interest and social justice, Allison Ulrich has over ten years of management and public policy expertise in the areas of housing, health, homelessness, and social services. 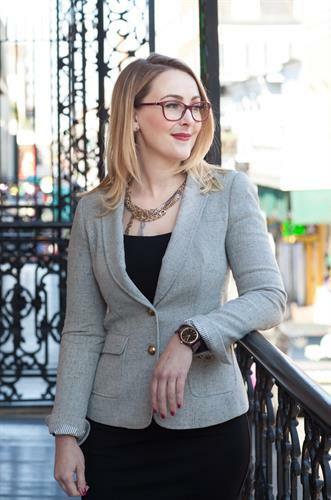 Through Ulrich Consulting, Allison provides a broad array of management and housing policy consultation services to nonprofit and governmental organizations throughout California and Louisiana. Her practice focuses on supporting change and improving programs that provide permanent supportive housing, rapid re-housing, transitional housing, emergency shelter, supportive services, and health-related services. Special emphases include: change management, compliance, project management, quality assurance, proposal writing, grant making, technical writing, as well as contracts and grants administration. Allison also specializes in legal education related to fair housing, disability rights, tenants' rights, and HUD programming. Allison Ulrich received her J.D. and Public Interest & Social Justice Law Certificate from the Santa Clara University School of Law in 2007. She completed her undergraduate studies at the University of California at Davis with a B.A. in Sociology and a minor in Community & Regional Development.